Finance company Fairpoint Group has today (9 April) announced its intention to acquire Leeds-based Simpson Millar. The proposed takeover of Simpson Millar, which was the target of an acquistion by Slater & Gordon last year, is for an initial consideration of £9 million payable in cash and shares with a further earn-out consideration of up to £6m payable in cash and shares over the next two years. 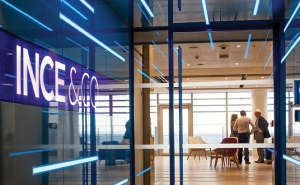 The 150-year-old firm, which has over 250 employees based in 10 offices throughout the UK, generated consolidated revenues of £16.9m for the financial year ended 30 June 2013. The business is being acquired on a cash free/debt free basis. ‘We are very pleased to be making this announcement today, having identified some time ago the diversification benefits offered by new rules allowing non-law firms to own legal services businesses via Alternative Business Structure Licences,’ said Fairpoint chief executive Chris Moat. Simpson Millar will continue to be run by its current management team when the deal completes, using its existing trading brands and operating as a business unit within the Fairpoint Group, which specialises in ‘solutions for financially stressed customers’, with a particular focus on individual voluntary arrangements. The proposed acquisition remains subject to Solicitors Regulation Authority (SRA) approval and is expected to complete before the end of Fairpoint’s first half on 30 June.